Should you do a direct sale to a real estate investor or, should you list with an agent? That’s one question to consider early in the selling process if you want to sell your house to take advantage of the current market? You want to sell your house in Weatherford or the surrounding area and you’re looking forward to putting some money in your pocket from all your hard work and efforts on one of the biggest investments you’ll ever make… your home. If you want to sell your house fast, which option is best agent or investor? 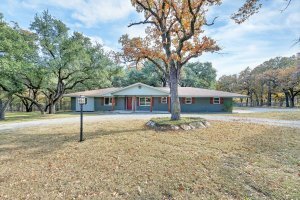 Would an investor buy my house in Weatherford? The best answer is . . . it depends. Everyone’s situation is unique, and that’s what determines the best option. So let’s look at some of the pros and cons of listing vs. a direct sale to a real estate investor in Weatherford. The most popular way to sell a house is through the traditional route that involves working with a real estate agent. A great number of people think you require an agent to market and sell your house, yet we need to demonstrate something else. Agents are educated in the process, know the market, and have access to the MLS. They can target a huge market of potential buyers, will handle the marketing, and can help you get the best price. The primary cons of using an agent are that you will lose money in paying the agent’s commission and closing costs and that the process can take a long time. Because most agents confine their marketing efforts to traditional marketing, selling your house could take anywhere from three months to a year in some cases. You will also have to endure multiple showings, and there’s always the chance that the sale will fall through because a buyer can’t get financing, home inspection issues or doesn’t appraise. For many people considering listing vs. direct sale to a real estate investor in Weatherford, the latter is often the better/ faster option. The chief benefits of selling directly to a real estate investor are the usual cash payment and the quick closing, often as little as just a few days. Also, most investors will pay 100% of the closing costs, and you won’t have to pay any commissions to agents. Selling to an investor allows you to sell much faster and avoid some expenses. That’s why an investor might not be able to buy a house at near your asking price. However, the discount you might provide them is money you wouldn’t see anyway because you waited months and “gambled” to sell your house on the open market with an agent. Additionally, investors don’t worry about passing a home inspection or apprasial as they Buy Houses “As-Is”. Some investors only buy houses at foreclosure auctions or tax auctions while other investors focus on working directly with homeowners, to help the homeowners/sellers that are in trouble and need a fast solution for situations such as inherited property, divorcing, expired listing, tired landlords, or any number of other situations requiring a quick solution. In deciding between listing vs. direct sale to a real estate investor in Weatherford, keep in mind that investors are buying houses in order to make a profit, either by flipping or renovating and renting. And this means that their goal is to buy discounted houses in order to realize an ROI. So your sale price when selling directly to an investor is likely to be lower than what you’d get when listing with an agent. One thing to keep firmly in mind about listing vs. direct sale to a real estate investor in Weatherford is the carrying costs when listing with an agent. There are always additional costs when you are moving, that’s just life. These are the costs associated with owning and maintaining a house while you’re trying to sell it – for example HOA dues, mortgage payments, property taxes, utilities, insurance, and so on. There are both pros and cons concerning listing vs. direct sale to a real estate investor in Weatherford, and the best option depends on your unique situation and needs. If, however, you’re new to selling real estate, it may be difficult to make that determination. Fortunately, there ARE investors out there who have the skills, knowledge, and experience to help you in your situation, no matter how complicated it is. When it comes down to selling your house through an agent or to an investor, selling to an investor is faster and easier… as long as you find the right investor! If you would like to discuss the costs in more detail or confirm that we won’t charge you any fees when you sell your house to us, then please get in touch with us and we’ll be happy to walk you through our process.